On the bright side, the text is easy to follow and understand with only a few spelling errors. It follows a structured approach with worked out examples to teach the basics to the beginner, offering many clarifications and new methods also useful to the intermediate developer in the same time. 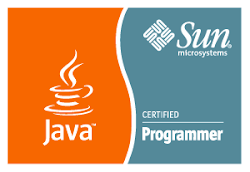 For example, the method for timing the execution of pl sql code block for performance comparison is original, not mentioned in the oracle university classes notes. The db schema is small and simple, about instructors and students attending the classes taught. In addition, there are solutions at the back of the book for the unsolved lab exercises and projects. The last chapters of the book about web development via pl sql is mostly targeted to forms developers, discussing about the currently obsolete Oracle Application Server. All in all, the book is suitable for those who would like to learn pl sql, or old developers who need brushing up their memory, but find that the fees for the oracle university classes are exorbitant, i.e. more than 1080 € for less than 40 hours; in a country where a mean hourly rate for a programmer is 10 € gross!